Instances of home-sharing or short term rentals have skyrocketed in recent years due to the rise in popularity of websites such as Airbnb.com, homeaway.com and vrbo.com. For a small fee, these websites connect homeowners with potential renters who are interested in finding a place to stay for as little as one night at a time. Homeowners can make a significant profit by allowing renters nightly use of their entire home or even a single bedroom therein, especially in major cities like Boston where nightly rates of hotel rooms are expensive and heavily taxed. But conflicts arise when the homeowner is the owner of a condominium unit because the unit owner’s decision to rent out all or a portion of the unit impacts all of the residents of the condominium and may not be permitted under the condominium bylaws. 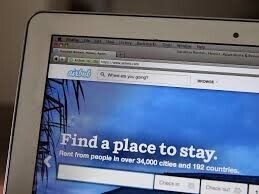 The rise in use of Airbnb.com and similar websites raises significant concerns for condominium boards, unit owners and property managers. First, there is the issue of safety within a shared living space. When a condominium unit is rented, the renter gains access to common area facilities such as common hallways, gymnasiums, rooftops and lobbies. The Airbnb.com renters are not responsible for paying common area maintenance fees, create excessive water usage, and may misuse shared equipment or otherwise take advantage of amenities reserved for homeowners. These communally accessible areas of the condominium then lose their exclusivity and other unit owners may even feel threatened by the presence of strangers in their space who most often are uninformed of the specific rules surrounding the use thereof. There are also the issues of noise and pollution. Residential condominiums in urban areas are often rented to tourists who are on vacation and may stay up late, play loud music and engage in illicit activities, such as smoking, while staying at the unit. These activities are generally subject to fines, but transient renters will be gone by the time the fine is issued and, therefore, be more likely to engage in disruptive activities. Another concern is whether a transient renter is covered under the condominium’s master insurance policy. If a transient renter damages a portion of the common area, it raises complicated questions as to who is responsible for paying for the damage. 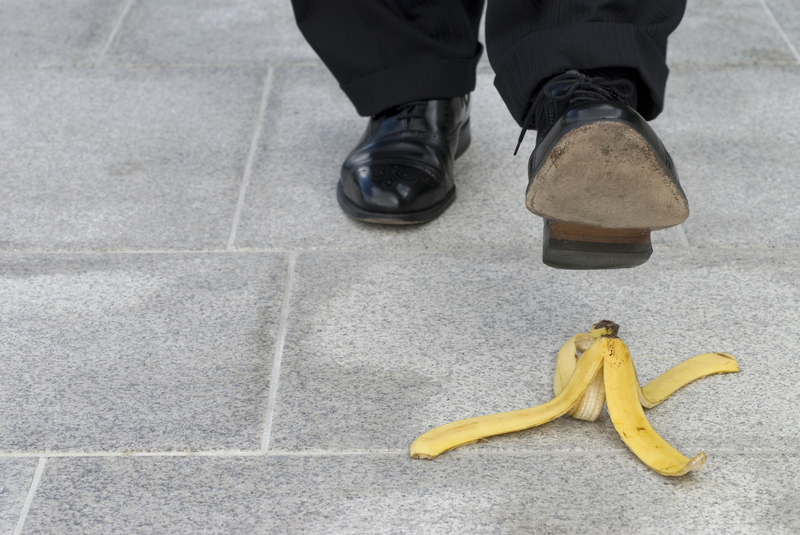 Similarly, if a transient renter gets hurt – such as in a slip and fall – within the common areas of the building, it could expose the condominium to liability if short term renters are not covered under the policy. In addition, the practice raises questions of whether the condominium is being used as a commercial rental use, which may not be covered under the applicable insurance policy. The practice also raises concerns with local and state government officials regarding how home-sharing impacts local zoning laws and whether the practice can be taxed. Our firm recently was retained by the condominium trust of a small exclusive condominium building located in South Boston after residents noticed that one unit was being rented out on a nightly basis to tenants via Airbnb.com. The website depicted the unit as being located in “an historic South End brownstone building with two bedrooms and a queen size bed in each, a gorgeous dining room, living room, fully stocked kitchen and 1.5 bathrooms” and stated that renters may smoke on the balcony. The unit owner was providing the renters the keys to the building and to the unit by leaving them in a lock box outside the building. The building key allowed the renters access to all the common areas of the condominium including the hallways, basement, lobby and roof. The renters were never accompanied by the unit owner, so they could not be categorized as guests. The renters were in violation of the condominium rule that all rentals must be in writing, with a copy of the lease provided to the association, and must be for a minimum duration of six months. The condominium association had several concerns about the unit owner’s continued rental of the unit. First, the renters would cause increased liability exposure because condominium’s insurance coverage was meant for a building occupied by owners and lawful tenants under leases of more than six months. If one of the renters had an accident in the condominium and sued the trust, the insurance company would likely deny the claim due to converting the character of the condominium into a commercial rental property. Second, the trust had been informed by several female residents that some of the renters were rowdy and intoxicated men, who had made them uncomfortable and they no longer felt safe in the building. Third, the renters were smoking on the rooftop near the dryer vents, which exposed the unit owners and lawful guests to toxic fumes and potentially put the building at risk of catching on fire. Our firm sent several communications to the unit owner asking him to stop renting his unit, but he failed to respond and continued to rent out his unit. Ultimately, we filed an injunction to stop the unit owner from continuing to illegally rent out his unit. The court agreed that short term rentals were not allowed under the condominium documents and enjoined the unit owner from continuing to rent his unit for such short term purpose. The court also awarded that the homeowner pay all of the trust’s legal fees and significant fines based on a provision in the condominium bylaws providing for legal fees to be awarded to the trust in cases where unit owners were found to be in violation of the rules. Ultimately, the unit owner was forced to stop all future rentals of his unit and remove all advertisements showcasing the unit and condominium building from Airbnb.com and similar websites. We expect to see more conflicts between unit owners using their units as income sources via use ofAirbnb.com and condominium associations as short term rental websites continue to rise in popularity. Condominium trustees of condominiums located in Boston, Brookline, Cambridge and other densely populated areas should consider taking a proactive approach to control the practice of short term rentals by adding protective language to their condominium bylaws. For example, associations should consider adding a rule that unit owners may rent out their units but all rentals must have a minimum rental period of not less than 30 or 60 days. Another rule that a trust could vote to implement is that each unit must be rented as a whole, which would limit a unit owner’s ability to rent out individual rooms therein. Finally, condominiums may want to add an amendment requiring that all rental leases must be in writing, must include a copy of the condominiums rules and regulations and/or bylaws and must be submitted to the trust. We strongly recommend that condominiums vote on an amendment allowing fines to be levied on unit owners who violate the condominium rules and for those fines to be collectable as a lien on the unit pursuant to M.G.L. c. 183A, Sec. 6. This language should provide that costs of collection of the fines, including all reasonable attorney’s fees, are assessed as a common area expense against the violating unit. As a practical matter, this provision allows condominium associations to proceed to court in order to obtain an order to stop the home-sharing practice and place the burden of the costs and legal expenses on the offending unit owner. Our firm can help you to amend the condominium documents to ensure that these new provisions are effective. The prospect of paying legal fees and significant fines may dissuade these certain unit owners from engaging in home sharing. Even if your condominium bylaws already contain these protective provisions, you still may find that one of the unit owners is ignoring the rules and renting out the unit (or one of the bedrooms). Unit owners may decide that the risk of being “caught” by the condominium association is worth the thousands of dollars they will recoup violating the rules and renting out their units. Condominiums who find themselves in that situation should immediately obtain legal counsel. An attorney can draft a Cease and Desist letter which puts the offending unit owner on notice that they are violating the rules of the condominium. If, after thirty (30) days, the rental continues, the attorney can file a civil action and motion for a temporary restraining order. Some condominium communities may determine that the risks associated with short term rentals may be outweighed by the potential of considerable financial benefits to the unit owners that come from renting out their units. If your condominium association determines through an open discussion with unit owners that it would like to allow owners to list properties on Airbnb.com, you should consider hiring counsel to draft rules amendments governing short term rentals. These amendments may include a rule containing conditions the unit owners must follow when renting out their units, such as limited the number of days a unit could be rented out, requiring the unit owner to meet the renters in person and creating a list of rules about use of common areas that must be distributed to each renter. You should also review your insurance policy to ensure short term renters are covered. Having tools in place to regulate and control the short term rentals will minimize liability to the condominium and create a fair process for all unit owners. Condominium associations have a duty to enforce the rules on behalf of the all of the unit owners. While short term rentals do create cash flow for certain unit owners, the risks of liability exposure, damage to common areas, and safety to all residents are real concerns that must be addressed. The rise in popularity of websites like Airbnb.com demonstrates a trend in short term rentals that is here to stay and condominium associations must take steps now to control the ability of unit owners to rent out units in a way that is beneficial to all of the residents of the condominium. Goldman & Pease LLC provides experienced, professional legal counsel in corporate and business law, real estate and civil litigation. The firm provides legal planning and counseling to help clients avoid problems by addressing changing circumstances and by anticipating future opportunities. Attorney Howard S. Goldman is the founding partner of the law firm of Goldman & Pease LLC, 160 Gould Street, Needham, Massachusetts 02494 (781) 292-1080. Mr. Goldman concentrates his practice in the areas of real estate, finance, and civil litigation, where he represents property managers, lending institutions, developers, and contractors for more than thirty years. He is an active member of the Massachusetts, Norfolk, and Rhode Island Bar Associations in his field and is also an active member of CAI and IREM, where he frequently lectures and writes columns affecting the real estate and finance industries. Mr. Goldman serves as a member of the Zoning Board of Appeals for the Town of Needham and as a court appointed mediator at the Boston Municipal Court and as a pro bono advocate at Federal District Court mediations. Senior Associate Rebecca Erlichman assisted in drafting this article and focuses her practice on civil litigation matters, including condominium disputes, transactional real estate matters, real estate litigation and estate planning. She is an associate member of the Zoning Board of Appeals for the Town of Medfield.